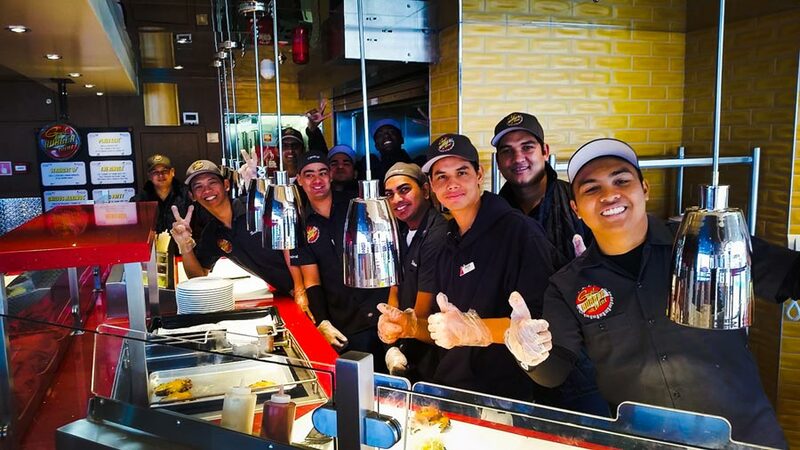 The popular Guy’s Burger Joint on Carnival Cruise Line is now offering Vegan Burgers across the fleet. The new choice will be in addition to the regular meat choices on Carnival cruise ships. Carnival Cruise Line Ambassador John Heald has posted that Vegan Burgers are now available to order on all ships. The new burger option will be at the popular Guy’s Burger Joint, a free venue found on the lido deck near the main pool. Soak black beans overnight and cook them. Keep the required amount whole and mash rest of the black beans. Cook and mash the brown rice. Cut pumpkin into cubes, marinate with chopped garlic and thyme. Roast the pumpkins and mash. Saute onions, garlic until light brown, add whole cooked beans. Add tomato paste and saute. Add roasted cumin powder, cayenne pepper, smoked paprika, fajita seasoning and cook well. Add cooked and mashed black beans and cook well to combine flavor. Keep the mixture aside to cool down. Take separate brown and add mashed roasted cauliflowers, tofu, roasted pumpkin, sauteed mushrooms, and cooked mashed rice. Add chopped oregano and scallions. Mix in both the mixtures, season well and knead well to form a tight structure. Divide the mixture into 5oz rolls and flatten them to patties of 4″ diameter and 0.5″ thick patties. Cook the patties in very little olive oil till surface is crisp. (Patties can be stored refrigerated up to 3-day post blast chilling). For longer storage, freeze batched of mixture, thaw naturally, reconstitute and form. 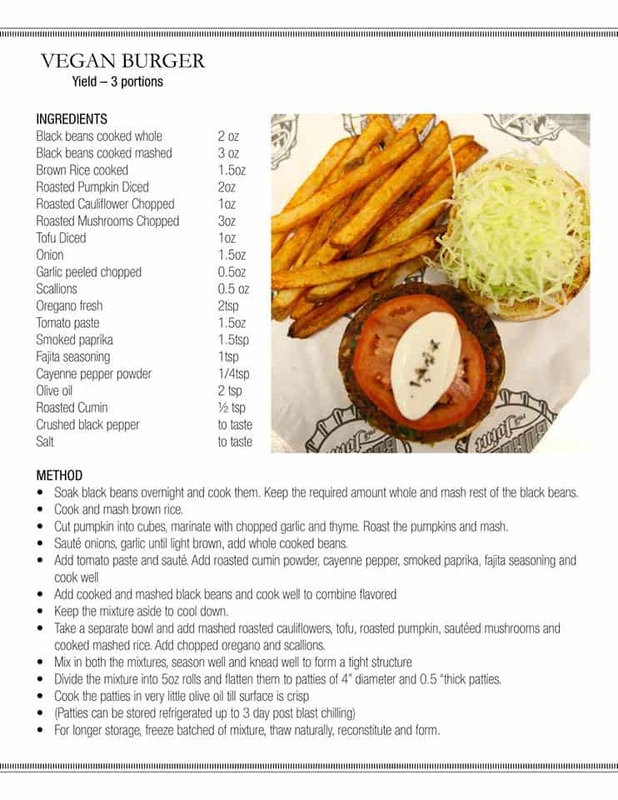 Do take a look at the new Vegan burger offering at Guys Burger Joint below including the method and ingredients. Guy’s Burger Venue was first introduced on Carnival Liberty in 2011 and since then has become award-winning and a must go to venue for cruisers. Carnival partnered with Food Network TV chef Guy Fieri to bring the Burger Joint to reality and more recently the partnership has expanded with Guy’s Pig & Anchor Bar-B-Que Smokehouse | Brewhouse on the newest ship in the fleet Carnival Horizon. Now with the new Vegan burger, even more guests can enjoy this experience on the lido deck. Readers can take a look at the regular menu right here.